Is there a way to disable the delay for players's own kills in the kill feed and have it flow with the kill feed? Where can I find the killfeed's icons and how can I put them in a hud as a texture? I wanna try something for the spy-cicle's meter, but I can't seem to find the right file. Also I'd prefer not to use a custom texture so that it still works in a comp server. ColdBallsWhere can I find the killfeed's icons and how can I put them in a hud as a texture? I wanna try something for the spy-cicle's meter, but I can't seem to find the right file. Also I'd prefer not to use a custom texture so that it still works in a comp server. I thought images referenced in vgui/replay/thumbnails bypassed sp_pure? 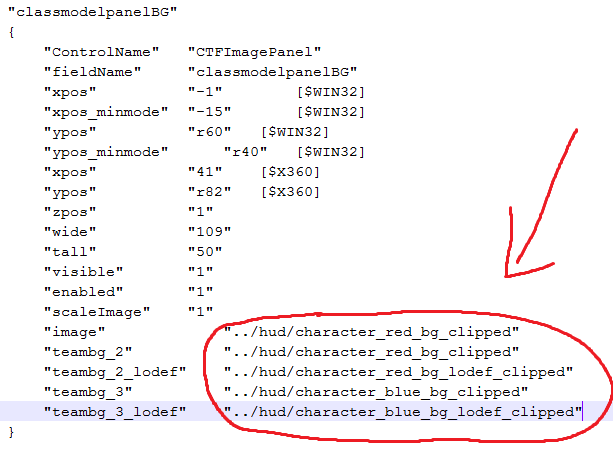 Spannzer ColdBallsWhere can I find the killfeed's icons and how can I put them in a hud as a texture? I wanna try something for the spy-cicle's meter, but I can't seem to find the right file. Also I'd prefer not to use a custom texture so that it still works in a comp server. I thought images referenced in vgui/replay/thumbnails bypassed sp_pure? They do, but with the added "hassle" of having to go into a non-sv_pure server first to pre-load the custom textures. 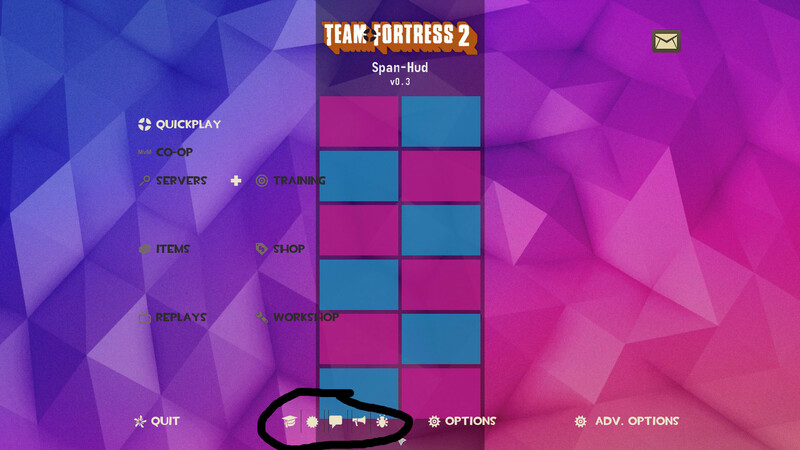 If there's no other option I'll do that,but if it's possible with existing gamefiles I'd prefer that. is anyone like SUPER familiar with hudanimations_tf scripting events and wants to spend like 20 minutes helping me out? glissis anyone like SUPER familiar with hudanimations_tf scripting events and wants to spend like 20 minutes helping me out? [quote=gliss]is anyone like SUPER familiar with hudanimations_tf scripting events and wants to spend like 20 minutes helping me out? Quick question. I recently installed 2 monitors and am currently in the process of editing the hud to move everything into the center screen. 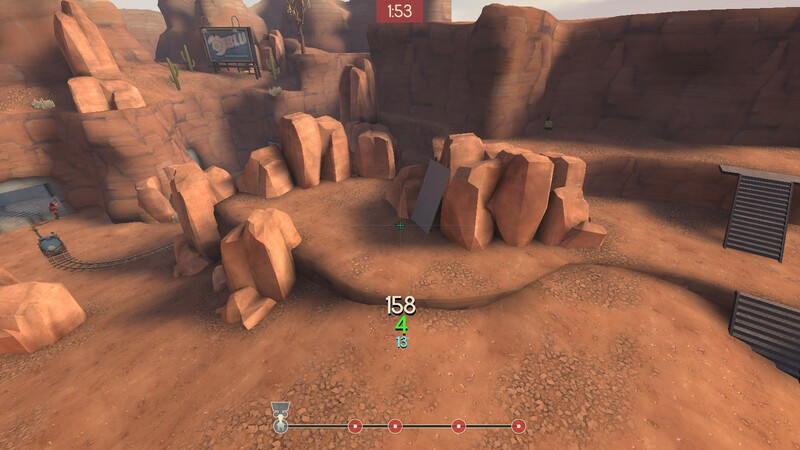 I've moved the health, kill feed, chat box, ammo, metal, charge/sticky bombs, med uber%, and the engineer buildings placed thing. However I am unable, for the life of me, to move the small recharge bars for items like jarate, cloak, food, baseballs, cleavers, and soldier buff banners. Where can I find the code to move such things? EDIT: I found the solution, was looking at the wrong file. My bad. Under those parameters change the "visible" and "enable" from "1" to "0" or just change their "xpos" to something quite high to make it off screen like "9999". Save and close it. How can I get a big semi-translucent circle without using custom textures? The biggest I'm getting is this with Paula.ttf, But I wanna make something bigger for my class selection screen. How do I change the fgcolor of a piece of text to change according to what team you're on? Is it possible? Also can I change the opacity of team coloured bars? Someone posted this picture in a "Show your hud modification thread" and I was wondering how I would go about doing it myself. It's modified rays hud, specifically how do I move everything into a neat little line so it resembles BXHud? SpannzerHow do I change the fgcolor of a piece of text to change according to what team you're on? Is it possible? For example, something like this: "TeamBox"
[quote=Spannzer]How do I change the fgcolor of a piece of text to change according to what team you're on? Is it possible? Where can i find these files? How to fix health http://steamcommunity.com/profiles/76561198068230118/screenshot/536249579820343064 ? ColdBalls SpannzerHow do I change the fgcolor of a piece of text to change according to what team you're on? Is it possible? [quote=ColdBalls][quote=Spannzer]How do I change the fgcolor of a piece of text to change according to what team you're on? Is it possible? AcoomaWhere can i find these files? I've looked through the VPK files, and I think the way they're rendered is through a "description" in the VMT instead of a VTF file. 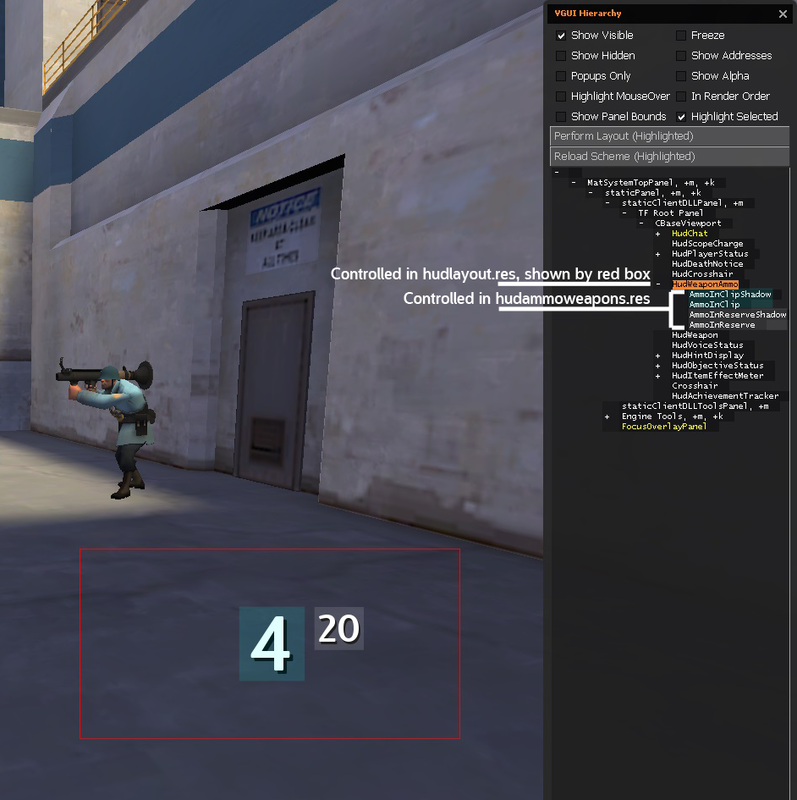 If you use GCFScape to open tf2_misc_dir.vpk, then go into \materials\hud\ you can find them there. [quote=Acooma]Where can i find these files? How I can change m0rehud end round scoreboard? It's show just score and name, how can I change ? I need Name, Score and Class. ColdBalls AcoomaWhere can i find these files? 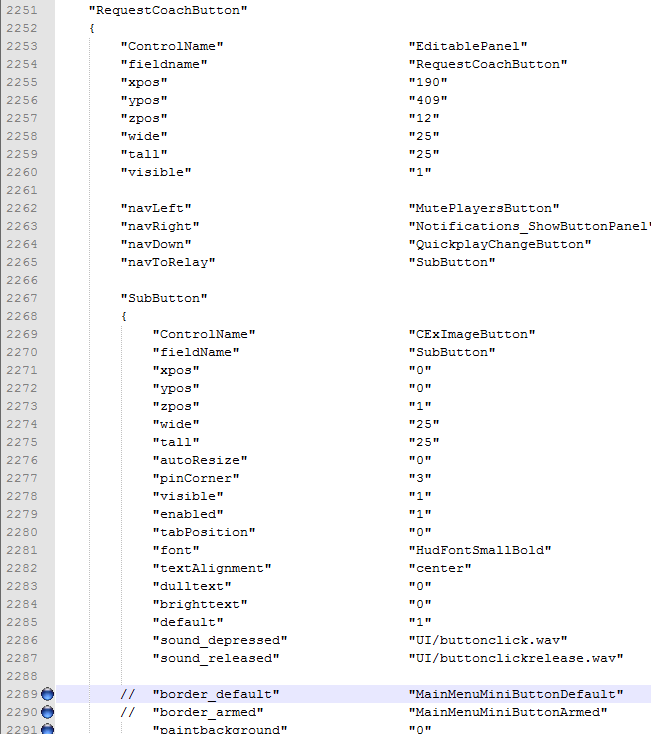 [quote=ColdBalls][quote=Acooma]Where can i find these files? When i edit my ammo position im trying to get it near the bottom of the screen, it cuts off half of the numbers any fix? THANK YOU VERY MUCH. I found them and was able to edit the vmt files to change the color of the border. YOUR THE BEST. I would like to change/'add' better and improved 3D Models onto my HUD, my current ones look kinda weird. Secondly, is it possible to make my current crosshair somewhat thiner, like this? SeloI would like to change/'add' better and improved 3D Models onto my HUD, my current ones look kinda weird. [quote=Selo]I would like to change/'add' better and improved 3D Models onto my HUD, my current ones look kinda weird. Solved the first problem, but second still unsolved. Is there any HUD that has that exact Crosshair from the second picture? Sexy_HippoWhen i edit my ammo position im trying to get it near the bottom of the screen, it cuts off half of the numbers any fix? How do I get rid of the lines between these icons? SpannzerHow do I get rid of the lines between these icons?